The school year is quickly approaching and pretty soon my Friday afternoons will be filled with class newsletter writing. I am a big fan of weekly newsletters to help keep my parents informed. 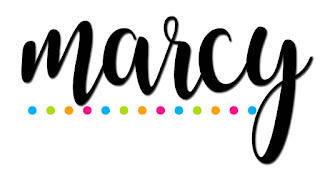 It helps to relay important dates, weekly assignments and classroom information. 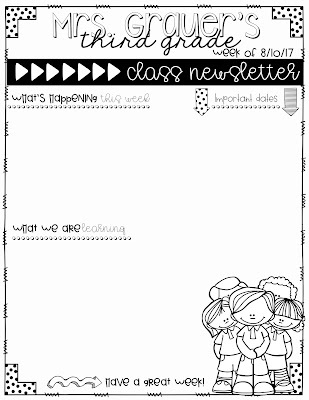 I have created some fun class newsletter designs in my new Back to School Newsletter Template Kit . 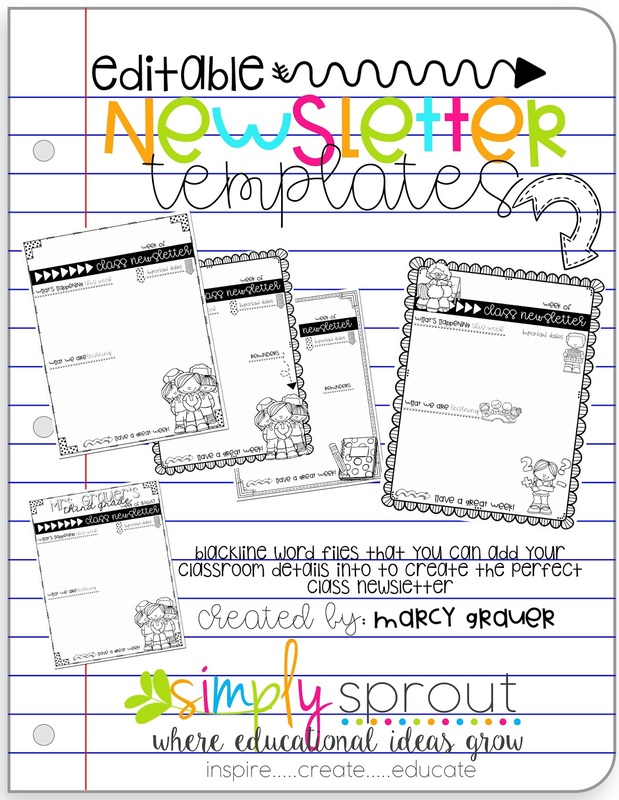 These are so easy to use, you will spend less time creating your newsletter and more time doing what you enjoy...teaching. 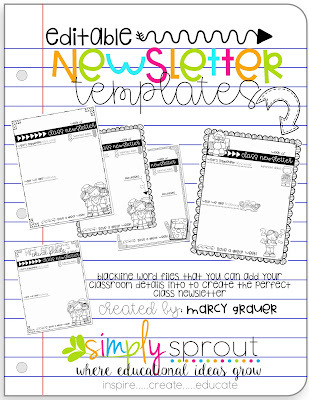 To get started purchase the kit over in my TPT store. Once you open it up you will notice that is it in a word file. The design is actually an image so you are able to just create your own text box and type right on top. I like to right click on my text boxes, go to format and select no line no color. This will create a text box that is transparent. Now you are ready to set up your header. 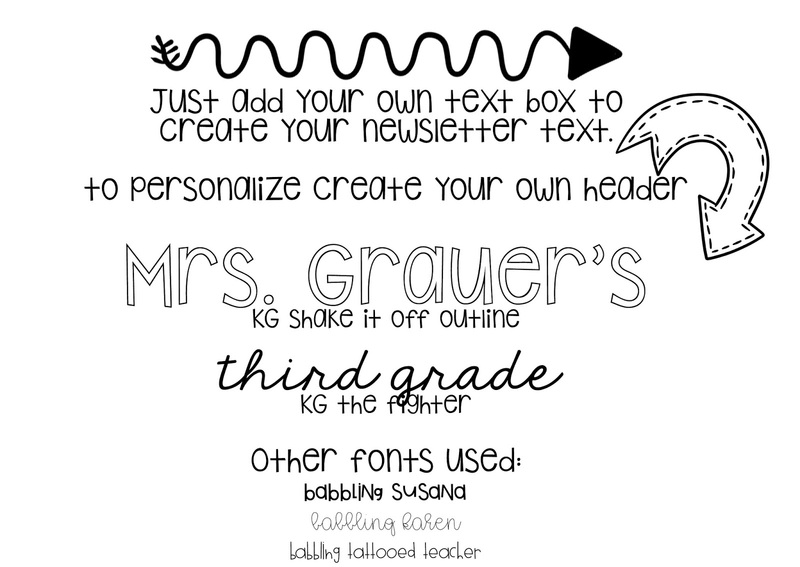 Below are fonts I love but feel free to use what ever works best for you. 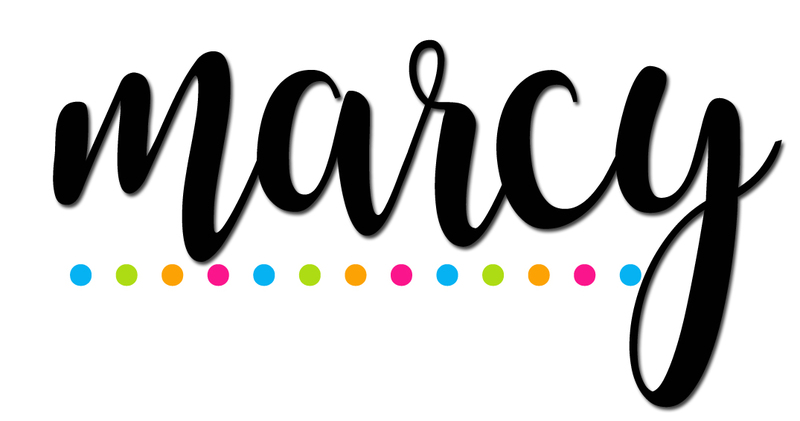 Once your newsletter is created and you are ready to save simply select the images on the unwanted pages and delete them til you just have your newsletter left. Save as a pdf file under a separate name. I like to save mine by date so I can refer to it from year to year. Now you are ready to print or email to your parents. 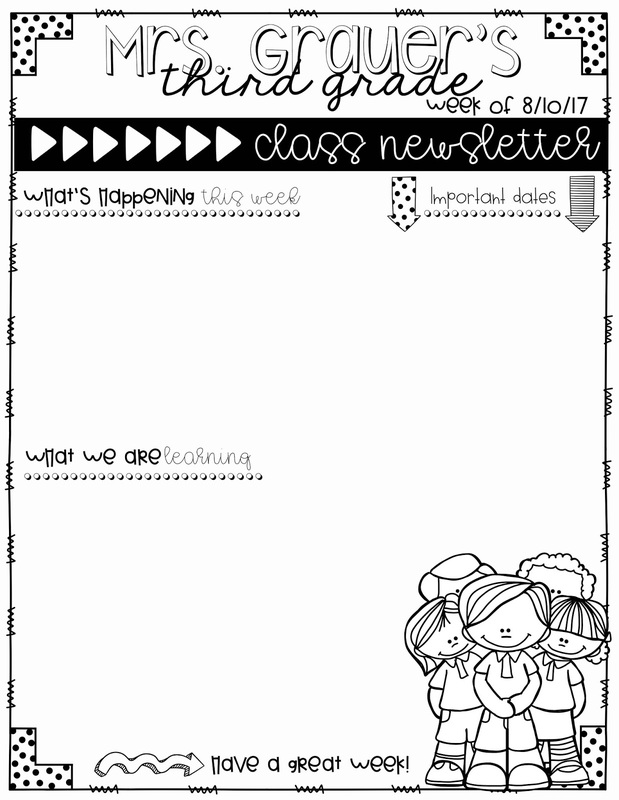 It is that easy now you are all set with a fun, custom class newsletter that your parents will love!